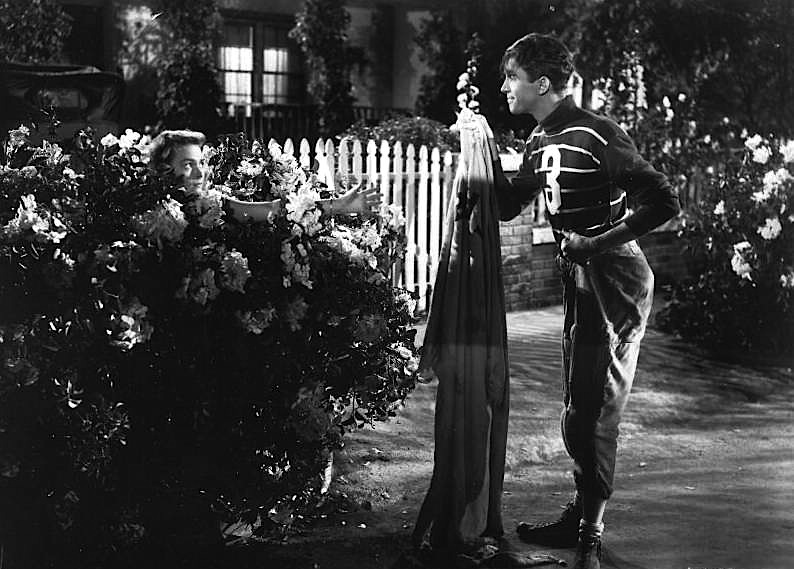 Most people think of James Stewart as the upright, fight-for-your-ideals, invite-to-the barbecue-for-a-beer kind of guy. But the iconic actor did play a villain. Twice. Yes, all of TWO times. Not surprisingly, he played the roles early in his career. 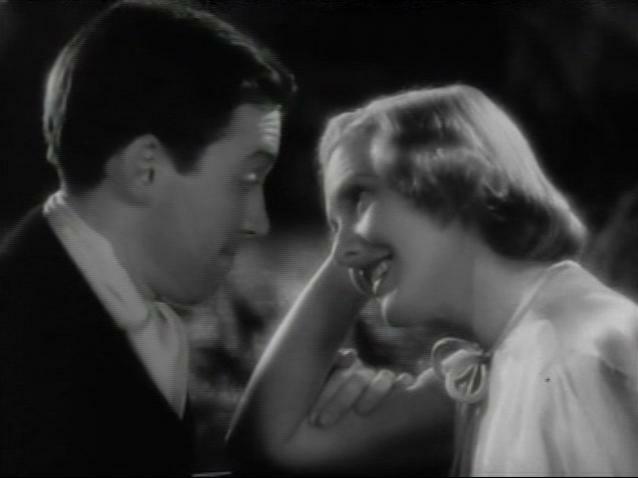 The films hit the box office in 1936, two years after his debut in the short Art Trouble. In both, he’s so overshadowed by ridiculously famous on (and off) screen couples that he appears as a mere whisker on the cinematic canvas. 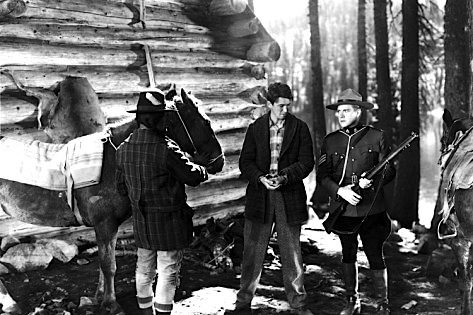 Jeanette MacDonald/Nelson Eddy fans will remember Rose-Marie, in which Eddy plays a dashing Canadian Mountie pursuing MacDonald’s no-good, on-the-lam brother played by – guess who – James Stewart. Stewart led in handcuffs by Eddy, who proves that no one looks good in Mountie breeches. Did I say too much? 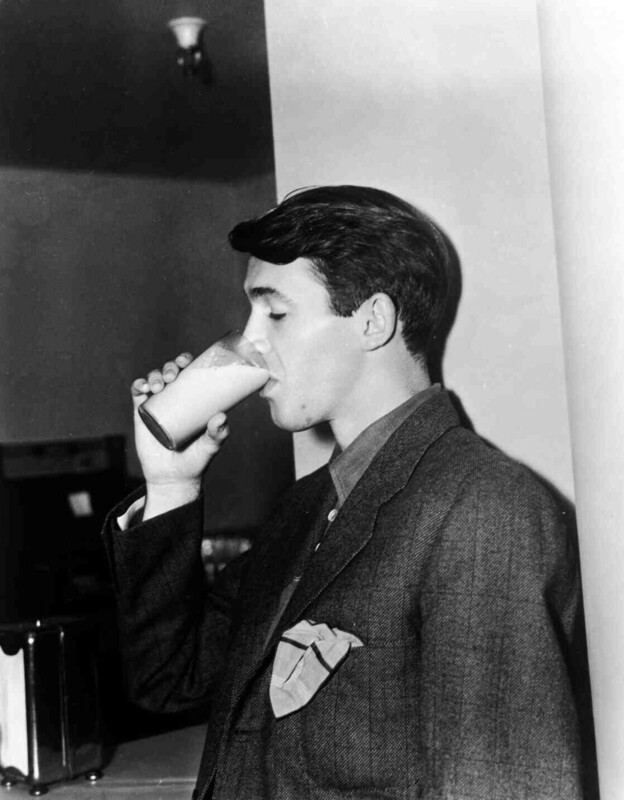 On the set of After the Thin Man with a tall glass of milk and looking … not quite so villainous. This is the scene I remember most vividly — when realization sets in and he stares into the camera. Creepy. That and the pool/ensuing camellia bush (?) scene. 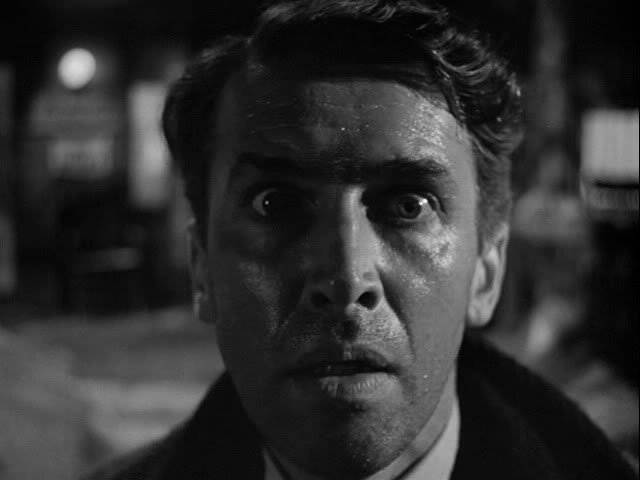 Of course there’s his brilliant work in Hitchcock’s films: Rope (’48), Rear Window (’54), The Man Who Knew Too Much (’56) and Vertigo (’58). 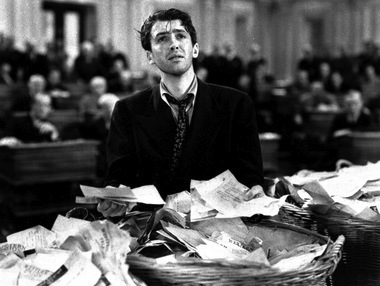 The filibuster scene. Capra was a genius. … and the screwball You Can’t Take it with You (’38). Stewart discussing photosynthesis and the possibility of solar energy (really!) in You Can’t Take it with You. Stewart also starred in The Shop Around the Corner (’40), on which In the Good Old Summertime (’49) and You’ve Got Mail (’98) were based. I didn’t care much for it. Due to the bickering star couple, cheating spouses and — spoiler alert — an attempted suicide, I found it pretty downbeat (is that a word?) for a romantic comedy. For big-band lovers like myself, I recommend the delightfully music-saturated film The Glenn Miller Story (’54). 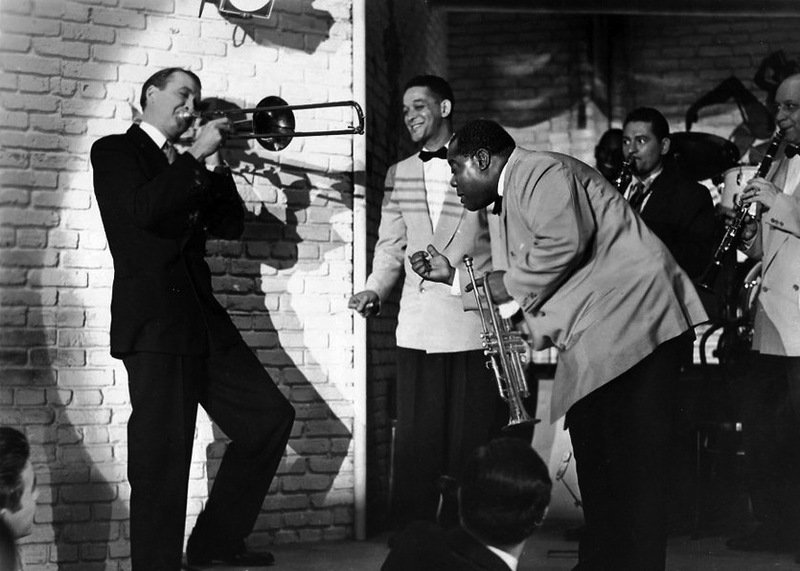 Stewart accompanied by Louis Armstrong in The Glenn Miller Story. 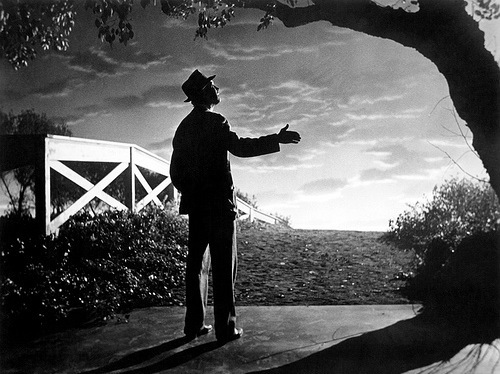 And Harvey (’50), the hilarious, thought-provoking, poignant film about a rabbit and his visible human companion nominated Stewart for an Oscar (which I think he deserved). They had such great chemistry. As for his personal life, Roger Ebert wrote this tribute on Stewart’s passing in 1997 (Interestingly, Ebert neglected to mention the villainous role in Rose-Marie). Stewart also starred in a bajillion other movies — including his Oscar-winning film The Philadelphia Story (’40) — of which you and I have neither the time nor patience to read/write about. 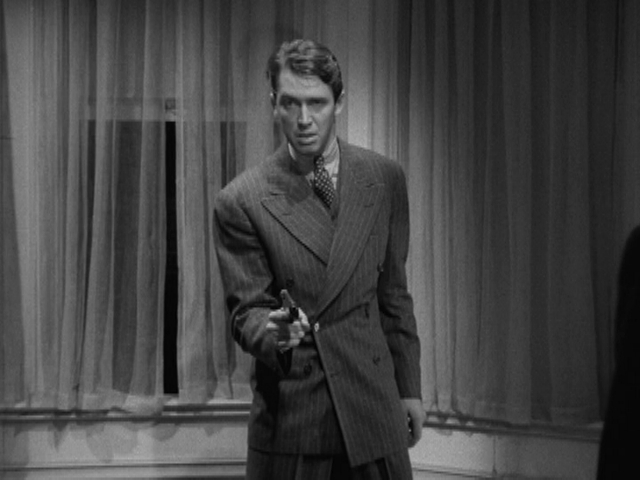 Suffice it to say, Jimmy Stewart was awesome.